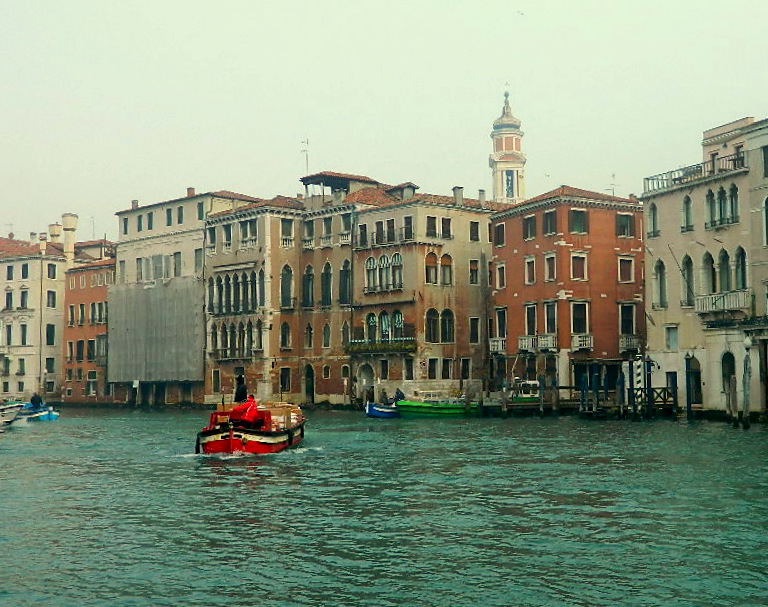 Walking through Venice on a cold February morning, I saw a row of houses along the Grand Canal which I thought I had seen before. 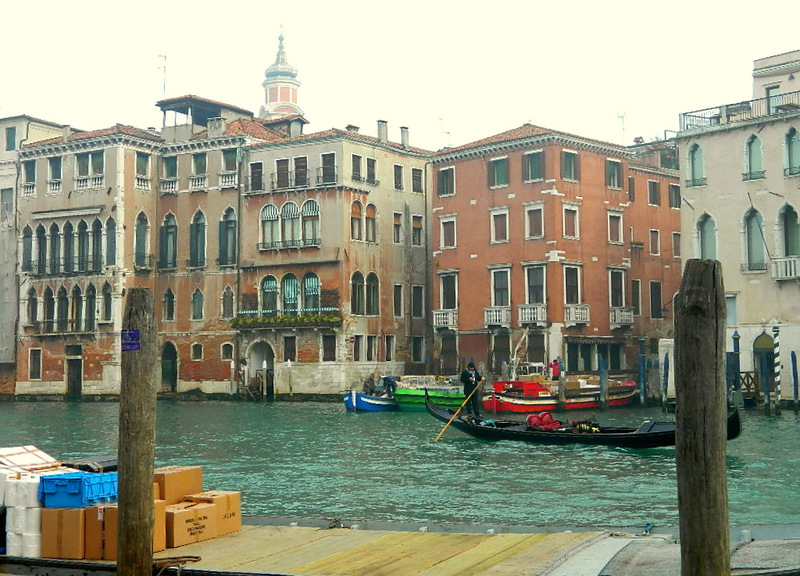 It was my first day in Venice, I don’t believe in reincarnation, so my recollection must have come from a film. And indeed: This is where the ultimate fight in the James Bond film Casino Royale takes place and one of the houses slowly sinks into the water. You will notice that the red house (second from right in the two first photos), which stands conveniently apart from the houses to the left and right of it, has been replaced by a fake house in the movie. So, you needn’t worry! No real Venetian house was destroyed for this movie. This entry was posted in Films, Italy, James Bond, Photography, Travel and tagged Casino Royale, cinema, movies, Venice. Bookmark the permalink. Next you’ll tell me that James Bond isn’t real, either? He is definitely more real than a lot of other people/things/creatures that billions of people believe in.